Huge selection of colors in stock - and custom colors to fit your any need. elements 3-5 times longer than paint! Uniform coverage - minimal color fading - with a variety of textures and styles. 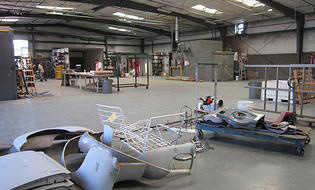 Our sandblasting service removes old paint, rust, and grease ensuring a clean surface. Above and below are examples of recent projects. 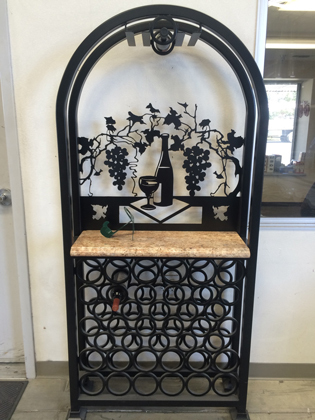 In addition to sandblasting services in conjuction with in-house powder coated projects, we offer sandblasting services for your do-it-yourself projects. 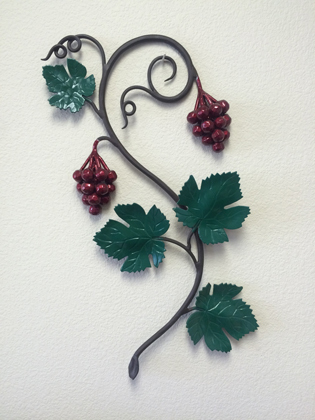 The versatile properties of powder coating make it ideal for a variety of needs, both decorative & practical. Any metal capable of conducting electricity and able to withstand 400°F can be powder coated. 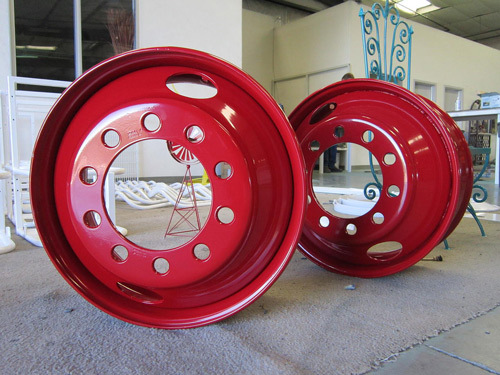 Powder coating is extremely resistant to chipping, flaking, solvents, corrosives, and general wear and tear. This durability makes powder coating a superior protective coating for all metal products. The versatile properties of powder coating make it ideal for a variety of needs, both decorative & practical. Any metal capable of conducting electricity and able to withstand 400°F can be powder coated. The coating is evenly applied in a powder form and then baked; resulting in a hard, smooth, paint-like finish that will bend with the metal if dented or struck. 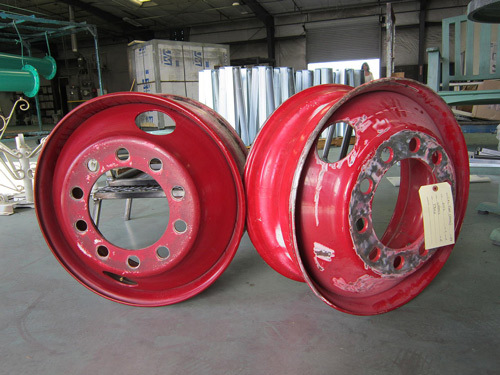 These large truck rims were beginning to corrode and show wear. they will provide many more years of service.